Welcome to Marketing's morning briefing, a daily shot of news and a recap of the best longer reads and videos. Today's news includes the announcement that Amazon has signed up the cast of BBC's Top Gear for a new series, a report that claims consumer confidence is down and a Coca-Cola infographic that has gone viral. GfK’s UK Consumer Confidence Index has decreased three points to 4 in July. Three of the measures used to calculate the Index saw decreases this month, including major purchase intent and concerns over the economy over the next 12 months. Joe Staton, head of market dynamics said: "Concerns about the general economic situation in the UK for the next 12 months appear to be weighing heavily on consumers’ minds at present. We’ve seen a five-point drop in expectations into negative sentiment, a full ten points lower than this time in 2014... However, on a more personal level, consumers remain resolutely upbeat about their own financial situation for the coming 12 months." The cast of BBC's Top Gear, which departed this year after Clarkson allegedly assaulted a production crew member, have signed a deal for a series on Amazon Prime Video in what is being described as a "landmark global TV deal". 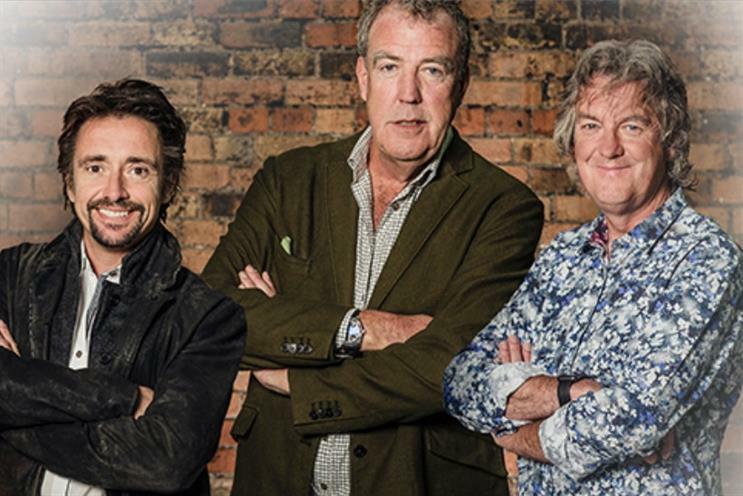 Jeremy Clarkson, James May and Richard Hammond will present a new car show from next year and three 12-episode series have been confirmed so far. On his Twitter page, Clarkson said of the move away from terrestrial television, "I feel like I’ve climbed out of a bi-plane and into a spaceship." An infographic created by a blogger and former pharmacist claiming to show how the body digests the fizzy drink has gone viral across social media and news sites. The blogger claims that when the body digests 10 teaspoons of sugar within 10 minutes it would usually induce vomiting but that the phosphoric acid added to the drink helps keep the liquid down before inducing a sugar crash. Coca-Cola responded by saying the brand's products are "perfectly safe." She argues it therefore alienates the brand's core target audience by essentially catcalling: "Betcha wish your girlfriend/body was hot like me…" (delete as appropriate for male or female audiences). Amazon joins the music streaming war - but who will come out on top?